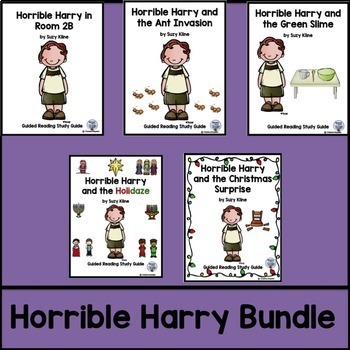 This is a set of 5 guided reading book studies from the Horrible Harry series. Each book study is sold separately as well. Each one has a set of lessons that help with breaking down the story into manageable chunks for better understanding and comprehension. Each chapter is studied as a separate lesson. For each lesson there are different elements studied. The format is the same for each chapter. 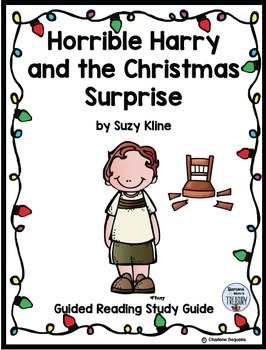 It is best if this is done with small groups such as in a guided reading setting. This will allow for discussion, listening to others read, and assistance when needed. 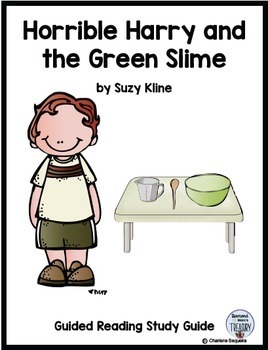 I have included templates for the skill development and interactive writing activities and I have also included vocabulary cards. If needed, an extra lesson could be included to summarize the book and review areas needing to be further practiced. 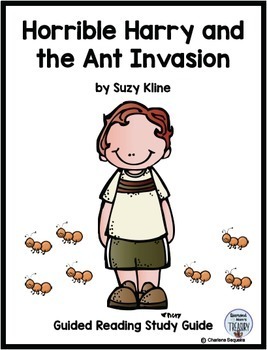 Check out some of my other literacy products as well.